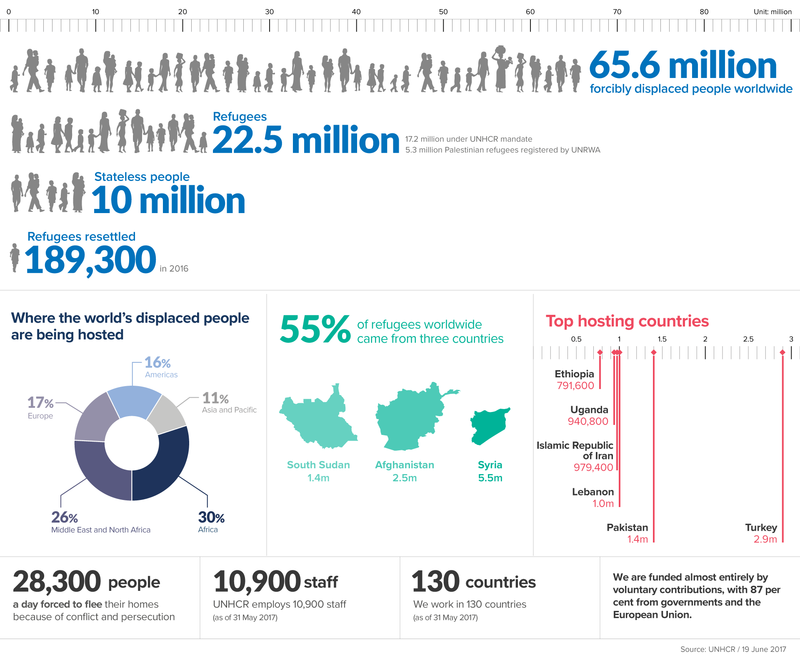 The UNHCR provides data on the current refugee numbers, there are an estimated 65 million displaced people, that is people unable to live in their own homes due to war, conflict or persecution. This is higher than it has ever been. Please note which are the top hosting countries. Around half of the world’s refugees are hosted by ten nations, of those ten nations just one, Turkey, is an OECD nation. Much of the rhetoric in the west is fear-based, the reasons for not taking refugees is that they pose a danger to us. However, as the Huffington Post pointed out, there are a bunch of things more dangerous than a Syrian refugee. 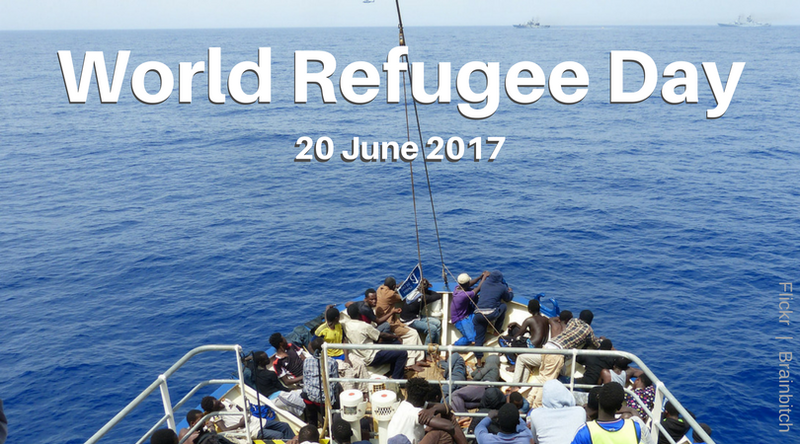 Something to remember this World Refugee Day. So have the courage to support your country’s initiatives to grant refugees the right to live in your country. Write to your MP, senator, President, King. There are also local ways to help refugees settle, here in the Netherlands there is an award winning volunteer organisation called Refugee Start Force , which began with the idea of connecting locals and new arrivals for a cup of coffee, but it’s led to much more, helping refugees learn Dutch, find their way around the Dutch system, furnish their homes and find work. Search for the hash tag #refugeeswelcome to find local initiatives you can support. Next time you hear people reacting to the settlement of refugees in fear, anger or hate recite “no one leaves home unless, home is the mouth of a shark” to yourself and be brave enough to speak up for the millions of people forced to leave their homes through war, conflict, persecution.